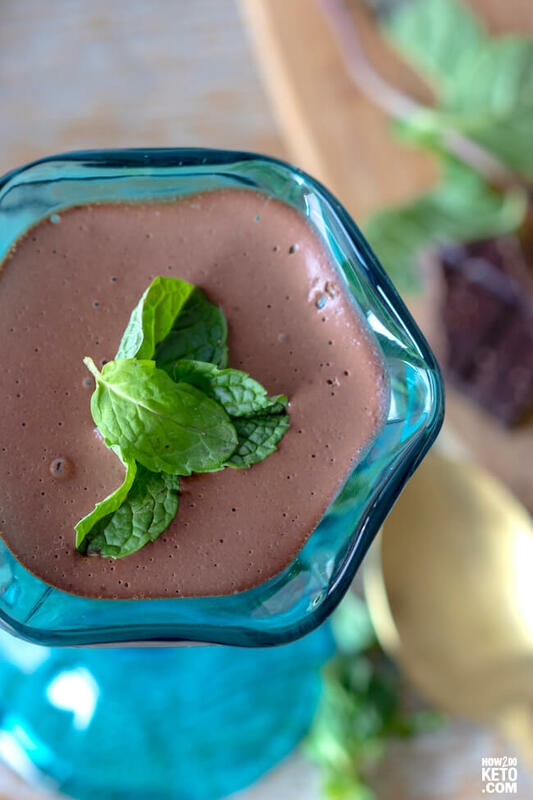 This keto chocolate mint pudding is SO rich and decadent – every spoonful is pure bliss! Just because you’re on the keto diet doesn’t mean you have to give up all the good stuff! I mean, what kind of life would it be without chocolate?? So far, most of our favorite keto chocolate treats have been cookies: our Avocado Keto Cookies and No Bake Keto Cookies to name a couple. 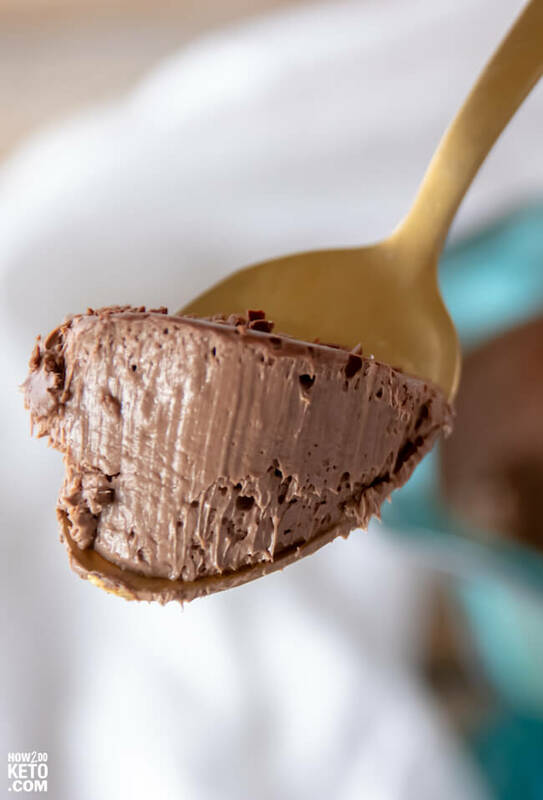 THEN…we made our first batch of Keto Chocolate Mousse a few weeks ago…and I was immediately hooked! I also love the combination of chocolate and mint (Thin Mints anyone?? 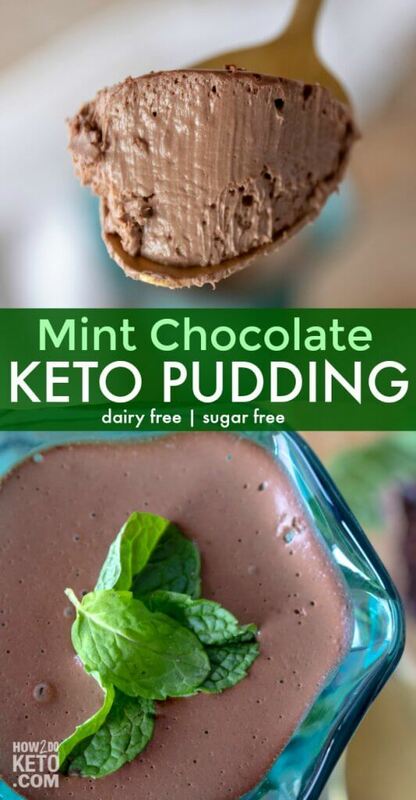 ), and that’s what inspired us to make a chocolate mint keto mousse too! I can definitely say that our Chocolate Mint Keto Mousse did not disappoint! Just as rich and creamy, with a cool mint flavor throughout – so decadent and refreshing at the same time! Now my only problem is deciding whether to make the original mousse…or our low carb chocolate mint pudding! Tastes even better the next day! 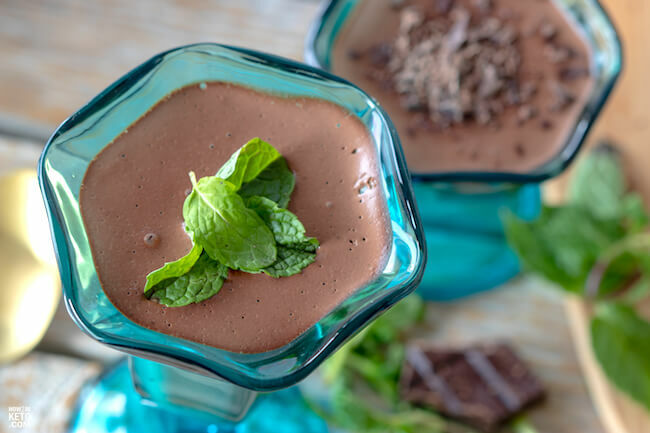 For your convenience in re-creating our Low Carb Chocolate Mint Pudding recipe at home, we’ve included shop-able ad links to some of the products and supplies used. Read our disclosure policy here. The above is a quick glance at the ingredients and tools needed to make Keto Chocolate Mint Pudding. Full ingredient amounts are available in the printable recipe at the bottom of the post. How many carbs can you eat on keto? What foods can you eat on a keto diet? What is the Keto flu and how to avoid it? What is a Targeted Keto Diet? 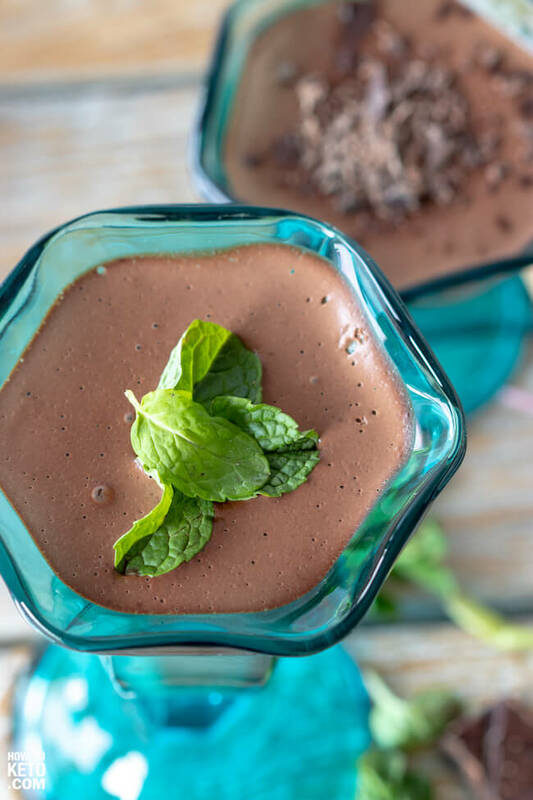 You can use either chocolate bar (chopped into chunks) or chocolate chips for this keto chocolate mint mousse. The most important thing is that your chocolate is sweetened with stevia or erythritol. We love these Lily’s Dark Chocolate chips! This keto chocolate mint pudding keeps for 2-3 days in the fridge. I think it tastes even better and richer then next day! If you like this recipe, rate it! We’d also love to hear your thoughts in the comments below. 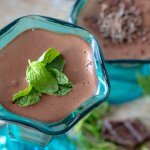 This keto chocolate mint pudding is SO rich and decadent - every spoonful is pure bliss! Bring coconut milk to a boil. Chop up chocolate into small chunks. Add chocolate and dry ingredients to blender and chop for about 30 seconds. Add egg yolks and peppermint extract and blend until creamy (another 30 seconds). Continue mixing, slowly pouring in your coconut milk, until smooth and fully incorporated. Pour into parfait cups and garnish with mint leaves. Chill for 2 hours until set. Hi there, we're Stacey and Matt! We share a love of food (he cooks, I eat) and it is a central part of our family. We created this site as a resource for anyone who is curious about starting a Keto diet or looking for delicious Keto recipes! 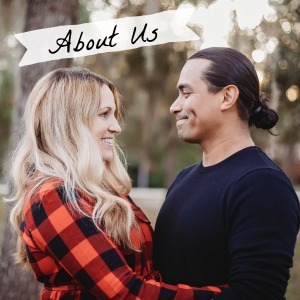 Click here to learn more about the How2DoKeto.com team! The content on this website is not medical advice and is intended for informational and educational purposes only.